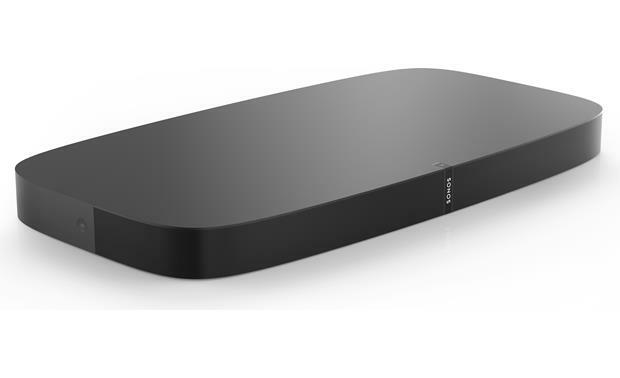 The Sonos Playbase is just about the easiest way to get spacious, realistic sound from your TV. 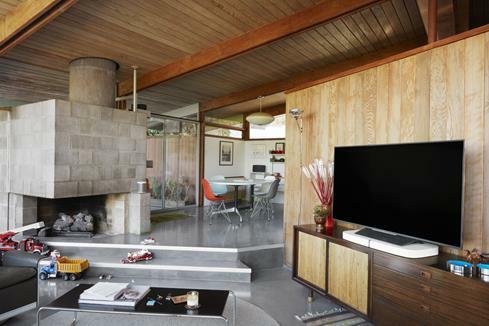 The Sonos Playbase is just about the easiest way to get spacious, realistic sound from your TV. 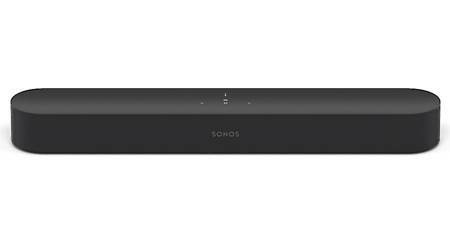 It's a low-profile base that simply sits directly underneath your TV, yet it fills the room with rich Sonos sound. 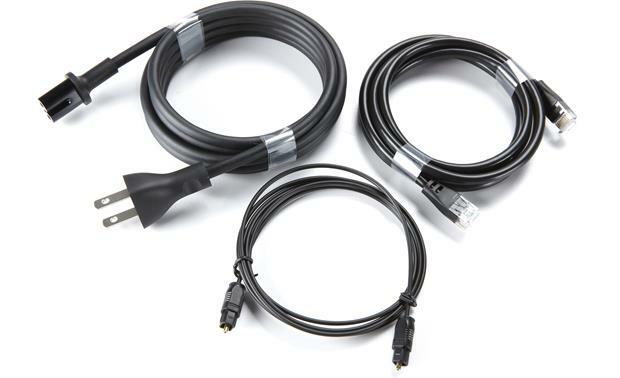 Just use the provided digital audio cable to connect your TV to the Playbase, and you'll be up and running in no time. The slim profile of the Playbase helps it fit easily into your room's decor. Plus, the Playbase becomes part of your Sonos wireless multi-room audio system. You can send sound from your TV to other rooms, or play music from other sources through the Playbase. The Playbase features ten amplified internal drivers. Six midrange drivers and three tweeters are angled to widely disperse the sound while ensuring proper balance. A built-in woofer for bass frequencies provides additional punch. The system's Speech Enhancement mode brings dialogue to the fore and reduces the volume level of loud sound effects. Night Mode enhances quiet sounds and greatly reduces loud effects, so you can watch TV while other sleep. The Playbase also delivers great sound with your music, too. You'll hear plenty of detail and well-balanced, natural sound from your tunes. 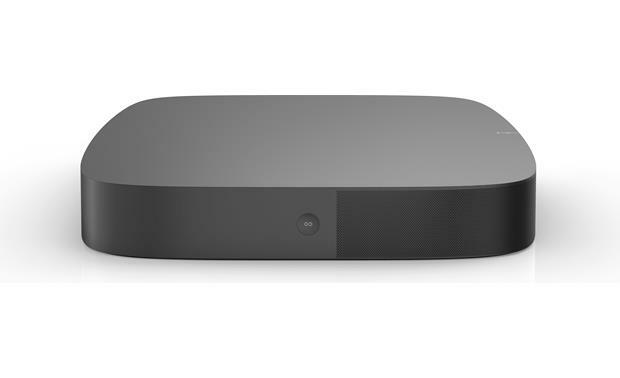 The Playbase can be paired wirelessly with a Sonos Sub to create a 3.1 home theater system. Add two Play:1 speakers, and you've got a pair of wireless rear speakers, giving you a 5.1 surround system with truly engaging sound. Like your TV up a little higher? The Sanus WSTV1 TV base was designed for use with the PLAYBASE. It features a 29”-high swivel mount, so you can have your TV at a higher viewing level without wall-mounting. The Playbase, like other Sonos music players, connect to your home network — either via Wi-Fi® or by connecting one player to your router via Ethernet to create a dedicated Sonos network. This network, known for its extensive range and superior performance, gives you house-wide access to tunes stored on your PC along with a wealth of Internet audio choices. You can use your iPhone®, iPod touch®, iPad®, or Android™ smartphone or tablet to control any and all Sonos players. A free download turns your smartphone and tablet into a full-fledged Sonos controller. Easily navigate and search through playlists and tracks stored on your computer, or select an internet radio station. Create customized playlists on the fly for individual rooms or for playback over your entire Sonos system. You can also mute or adjust the volume of each of your players. The Sonos system works seamlessly with a host of streaming music services, including TIDAL, Spotify®, Pandora®, and much more. You also have access to thousands of internet radio stations from around the world through TuneIn Radio and terrestrial radio stations through iHeartRadio. If you subscribe to SiriusXM Internet Radio, you can tune into all your favorite programming on any Sonos player in your system. Clean sounding even at higher volume levels. Love the ability to set my TV on top of this unit! 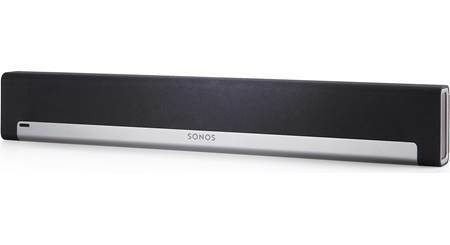 Will the Sonos Playbase turn on automatically when the Tv is turned on? Yes, the Sonos software is excellent, will give you the option of "following" the television when the TV is powered on. 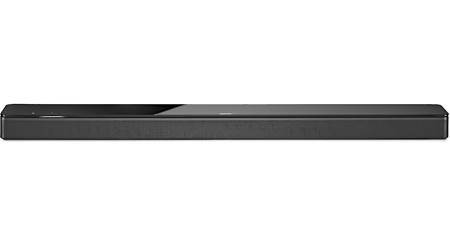 Wireless 5.1ch Speaker System: Add the Sonos Sub 1 Wireless Powered Subwoofer and a pair of Sonos One, Play:1, Play:3, or Play:5 speakers for a wireless 5.1ch surround sound experience (sub and speakers sold separately). 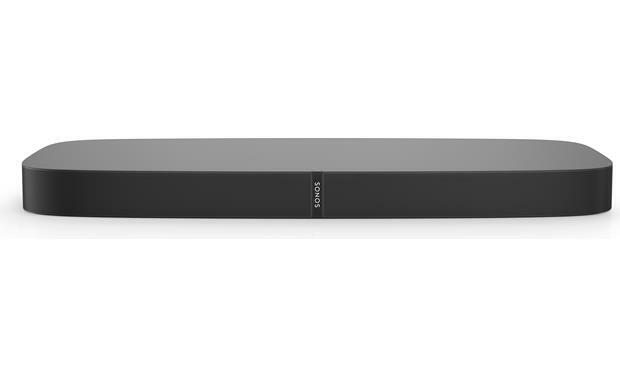 Now you don't have to run wires to a powered sub or rear speakers to enjoy true 5.1ch audio. 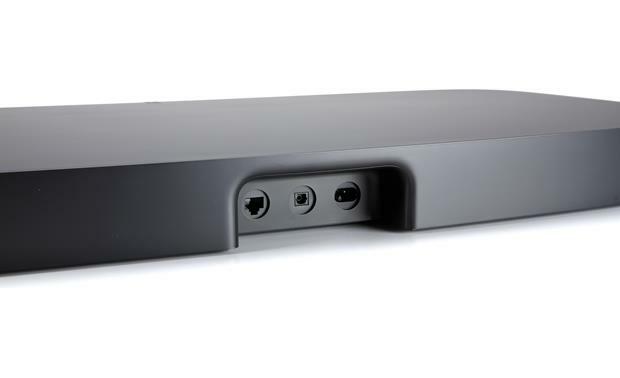 In conjunction with the Sonos Boost, you can even use the Sonos Connect:Amp as a rear amplifier with separate rear speakers; in this configuration you will still need to run wire between the rear speakers and the Connect:Amp (Boost, Connect:Amp, and speakers sold separately). Your Sonos equipment and Amazon Alexa-enabled devices must be on the same WiFi network. Can I use my directv remote to control volume or will Inhave to use two remotes? If you use the optical cable from your TV or satellite box to the Playbase your regular remote will control the volume for TV. All other sources will need the Sonos app. Switching is automatic when the TV comes on. Yes, the playbase will allow you to use almost any remote to control volume, and it's very easy to program during initial setup. You should be able to. I do it with my century link prism box. You plug it into the IR slot on back of tv and adjust tv settings I recall. The playbase plays the audio from your source. You will able to use you remote to control the volume. You can program playbase to work with volume control of any infared remote. if your direct tv is infared (you point it at the tv to change volume) then it will work. 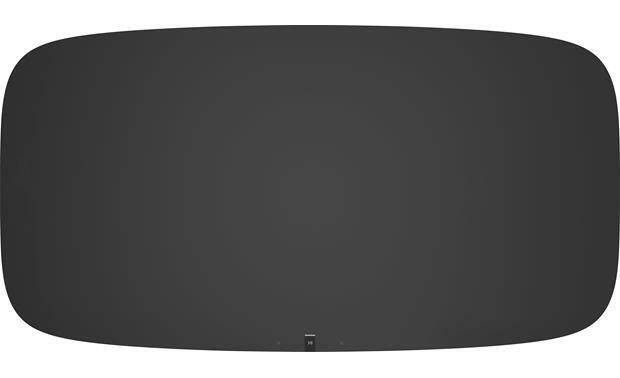 I measured the width of the base for my tv (Samsung UN55JS700DF) and it's 32'', but it doesn't seem like this would fit on the PLAYBASE. Is that an accurate assessment? Thanks for your question. I would say so. If you TV has pedestal feet that are wide enough apart it could work there too. 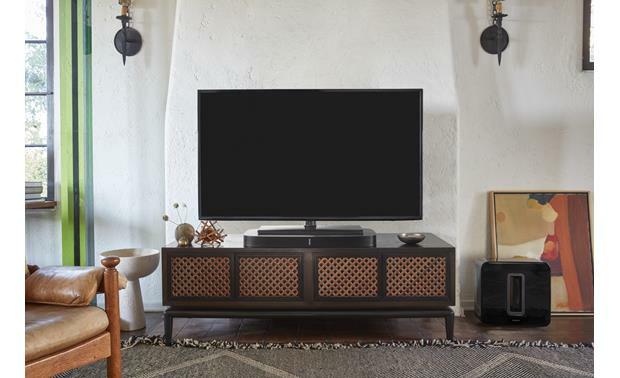 Here are the specs from the "Details" tab: Mounting Options: The Sonos PlayBase can rest under the pedestal stand or between the pedestal feet of your flat-panel TV. The PlayBase can support TVs weighing up to 77 lbs with a pedestal stand that measure no more than 28.375" wide x 14.9375" deep. It can also fit in between a TV's pedestal feet that measure no less than 28.375" apart and 2.3125" high. 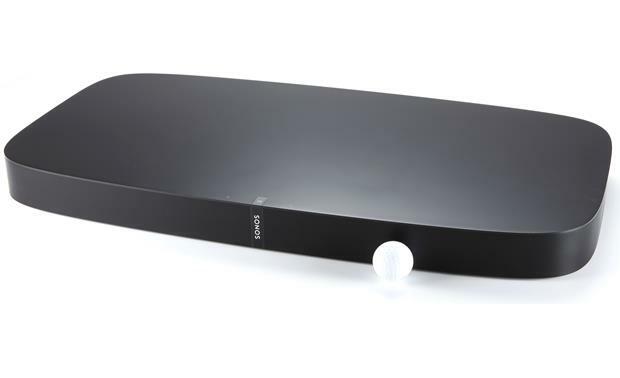 In addition, you can simply place the Sonos PlayBase on a shelf that is located under or above the TV; allow at least 2" of open space around the speaker. Does the playbase REQUIRE access to a network? I'm interested in it for the sound quality and plan to plug it directly into my blu-ray player. The home I'll be using it in is completely off the grid with no broadband access. I do have an iphone if that is needed for setup and also have a spare router that I can use if necessary, but other than lte access on my phone, I have no internet access. I don't plan to use it for streaming music - only for producing good sound when I watch movies. You can use the Playbase as a stand alone system through the optical cable. The volume can be adjusted with buttons on the unit, but I don't think you are able to access the Night Mode or Dialogue Enhancement without your phone being connected. That being said, you might be able to connect your phone to the unit with a "dummy" Wi-Fi from your router without needing internet. You probably need internet to use the TruPlay feature, though, since this goes through their algorithm to work. It's a great sounding and very functional speaker on its own, but it would be a shame to miss out on these cool features. Is there a weight limit on the TV that will sit on top of the PLAYBASE? Thanks for your question. The PLAYBASE supports TVs weighing up to 77 lbs. You can find this information on the product page under "Product Highlights". Hope this helps. Will the Xfinity X1 remote control work with this product to control the volume ? Even though I use Xfinity for my cable provider I use the TiVo Bolt for my cable box. I can tell you that the TiVo remote works fantastic with the playbase. When you have a direct audio output cable from the TV (or cable box) to the Playbase, the answer is yes. It senses the TV audio and switches to that source. The cable has to be an optical cable, so check your TV first beforehand. Yes the Playbase comes on automatically when the TV turns on and goes into Standby on its own after the TV is turned off. Yes, it turns on when the TV is turned on. Will this fit under a Samsung UN55KS8000? Thanks for your question. Yes it looks like it will. Your TV has 2 1/2 inches clearance on the stands. The PLAYBASE is 2 5/16 inches high so it is very close. Hope this helps. Searches related to the Sonos Playbase Powered home theater sound system/TV platform/wireless music system with Apple® AirPlay® 2.